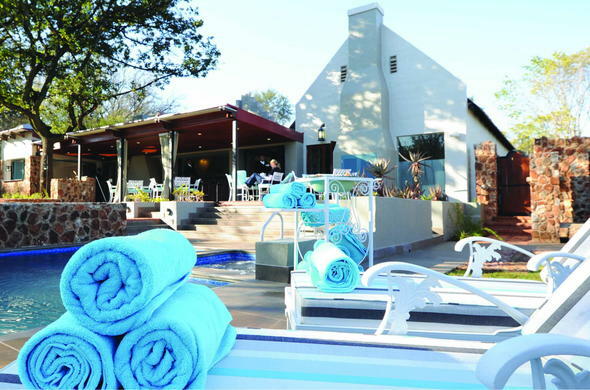 African Pride Irene Country Lodge is an idyllic retreat situated on a beautiful lake in Centurion, Gauteng. African Pride Irene Country Lodge offers luxury accommodation located in the historic village of Irene in Centurion. The lodge is conveniently situated between Johannesburg and Pretoria, and is only a 20 minute drive from O.R Tambo International Airport. Luxurious and spacious accommodation is in a range of 72 well-appointed rooms, where a peaceful few nights can be enjoyed. Experience fine dining at the Meadow Green Restaurant, that overlooks the pool, where fine cuisine are prepared by the team of culinary wizards. Treat yourself to the spectacular Sunday Lunch Buffet, enjoy a glorious breakfast, or a BBQ at Lakeside during your stay. African Pride Irene Country Lodge is a prestigious conferencing venue that boasts indoor and outdoor conference facilities for up to 350 delegates. The venue comes equipped with modern conferencing equipment and has a range of conference packages. While in Irene, visit Pretoria, which is only a 15 minute drive away. This glittering treasure trove of breathtaking adventures, unique experiences and unforgettable memories is built on the foundations of a colourful yet controversial past and evolving into a dynamic future.The Jacaranda City - affectionately named after its famous trees - could easily be described as a country in one city. In between savoring mouthfuls of delicious meals, exploring the beautiful surroundings and productive business meeting, soothing spa treatments can be indulged at the Camdeboo Spa & Restaurant. Choose from a selection of rejuvenating spa treatments to calm your body, mind and spirit.